Robert Bruner’s local government management career began in October 2001 when he became the Assistant to the City Manager of Oak Park, Michigan. Among other duties, he served as the City’s Ombudsman and implemented a web-based citizen relationship management (CRM) system to reduce response time. Bruner earned a Master of Public Administration (MPA) degree and a Graduate Certificate in Economic Development at Wayne State University in 2004. Bruner became the Assistant City Manager of Ypsilanti, Michigan in August 2004. There he directed the City’s Human Resources and Recreation Departments as well as the City’s information technology and public information functions. He earned a Graduate Certificate in Local Government Management at Eastern Michigan University in 2005. Bruner became the City Manager of Ferndale, Michigan in February 2007. He utilized a citizen satisfaction survey and priority-based budgeting to help the City Council successfully balance unprecedented budget shortfalls. Voters approved a property tax rate increase shortly after he left in 2011. 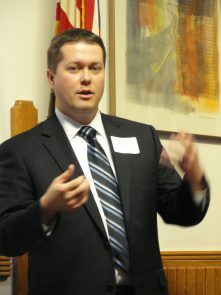 Bruner became the City Manager of Birmingham, Michigan in February 2011. He lead the effort to consolidate a neighboring village’s emergency dispatch center with the City’s and install a new 9-1-1 system in 2012. In addition, Bruner also began teaching graduate courses in public administration in 2012. Implemented a web-based citizen relationship management (CRM) system to reduce response time in Oak Park, Michigan. Helped improve trust between City Council, staff, and the community so much that voters approved transferring supervision of the City Attorney, City Clerk, Fire Chief, and Police Chief from the City Council to the City Manager during my tenure as City Manager of Ferndale, Michigan. Consolidating the Village of Beverly Hills, Michigan’s emergency dispatch center with ours in Birmingham, Michigan. There was a time when I did not take care of myself emotionally and physically as well as I should have. I confidentially applied for a new position in a nearby city while I was negotiating a new agreement with my current employer. Circumstances beyond my control delayed negotiations and anonymous sources leaked information about the negotiations and my application. I withdrew my application for the other position hoping to salvage the relationship with my current employer but the damage was done and they declined to extend my employment beyond February 13. I may have done things differently if I knew then what I know now, so I hope others can learn from this experience. The Landlord: it’s just funny! I would spend less time worrying about pleasing others. You don’t need to please everyone all the time. I would better handle other people being upset with me. How to successfully negotiate an employment agreement without upsetting others. How to spend less time worrying about upsetting others. How to best handle upsetting others. 90’s was….. the Year 2000 problem (also known as the Y2K problem, the Millennium bug, the Y2K bug, or simply Y2K). 00’s was…. the dot-com bubble. Today is…..that today was a good day and I have a feeling tomorrow will be even better. I can only name two? I hope I don’t break any hearts. The success or failure of Parks and Recreation on NBC will factor into my decision. I will hold ELGL personally responsible for the future of my favorite television show. More booze in city hall, Mad Men style. Q: What do you like on your waffles? A: Butter and syrup, but the waffles must be gluten-free. Where have you been my entire career? !